Have you ever had some time to play and you ask yourself, “what’s it going to be today, Zentangle…Stampin’ Up! ?” Well, why not do both? In my project today, a little bit of decoration with my own Zentangle and Stampin’ Up!’s framelits embellishes a super fast and fun embossed glassine bag. It’s just perfect for Christmas – or anytime really! 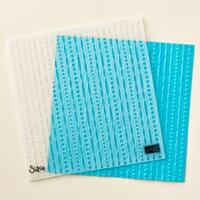 The glassine bags run through the Big Shot with the Festive textured impressions embossing folder so easily. 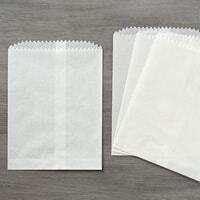 The bag fits beautifully in the 6″ x 6″ folder and leaves a nice deep impression and it takes only seconds to create. I’ve put a piece of Basic Black cardstock in my glassine bag so the texture and pattern stand out even more! Cutting out little pieces of your own Zentangle creates tiny slices of art to share! These are a cinch to create with Stampin’ Up! Layering Squares framelits. Stampin’ Up’s! framelits are probably hands down my favourite framelits for this technique. And here’s why I love the Layering Squares so much! 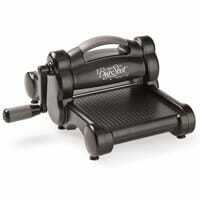 They are so quick and easy to use. Place your framelit exactly where you want it on your Zentangle and run through the Big Shot! There’s eight different graduated sizes of squares! So many possiblities! With just a little placement creativity, squares become diamonds! So you might be wondering exactly what this Zentangle stuff is? According to creators Maria Thomas and Rick Roberts, it is “an easy-to-learn, relaxing, and fun way to create beautiful images by drawing structured patterns.” Anyone can create fantastic works of art with pen strokes, one at a time. And although you do see coloured tangles, they are generally created in black and white as I’ve done here, which coordinates with just about any other colour – especially the lovely Stampin’ Up! colour families! What’s great about Zentangle is that there is really no pre-planning. Rather than having a pre-determined end in mind, we are free to let our piece of art develop based on the stroke we just laid down on our paper. How freeing is that? 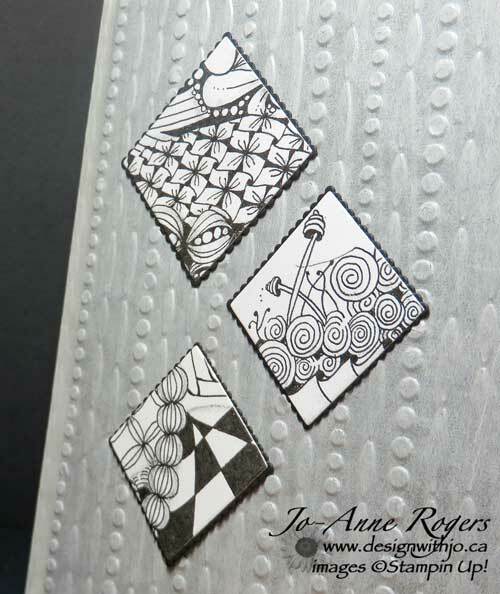 I’ll talk more about Zentangle and how it’s a perfect companion to your Stampin’ Up! tools and projects in future posts. The simplicity is the real attraction to this project. 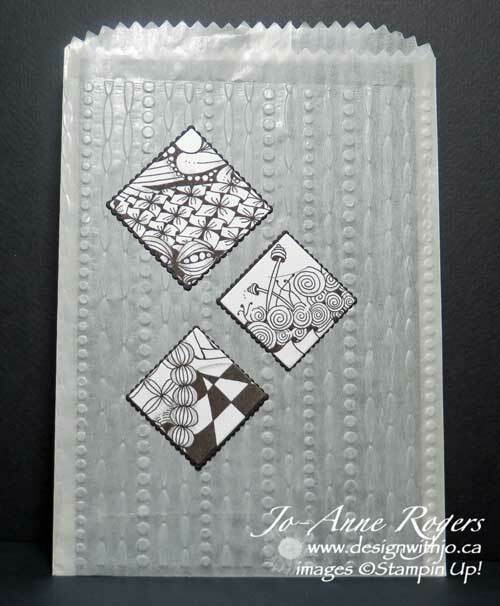 While I’ve used Zentangle for my squares, you could also create an equally beautiful gift bag with Stampin’ Up! stamps or designer series paper. 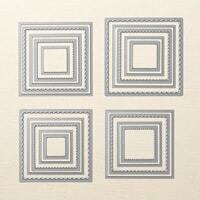 Just cut out your designs and mount them on framed scalloped squares and you will be thrilled with the results! And so will your friends and family! I’m really enjoying combining my love of Stampin’ Up! with the calm and relaxing practice of Zentangle. 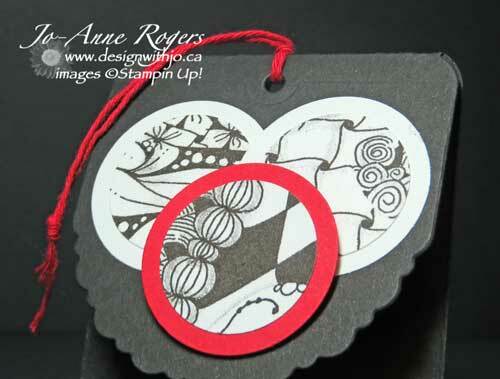 So the next time you have some creative time, ask yourself “Zentangle, Stampin’ Up! ?” and you can also see how they can be super complements to each other. Please send me a comment below to let me know if you enjoyed this project too! Here are all the supplies I used to create this bag. 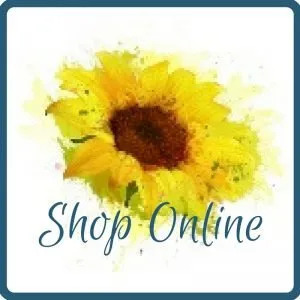 To make it yourself, click on the images below to take you to my online ordering page! If you liked this post, these previous articles might also be of interest! I really like this look, clean, classy and elegant. I have done Zentangle on text weight paper, did you use regular card stock weight here? And have you tried detailed dies to cut your designs? Thanks for sharing this great idea. Thanks Leslie. Yes I used cardstock here – I actually took a piece I had done previously and photocopied it onto Whisper White then cut it out. 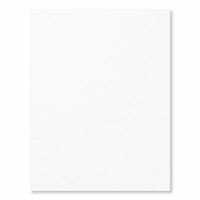 For combining with your cards, I think I would stick with cardstock for the weight it will give – the dark black is great on the bright white. I haven’t played with the detailed dies yet – another thing to try! Very nice!! 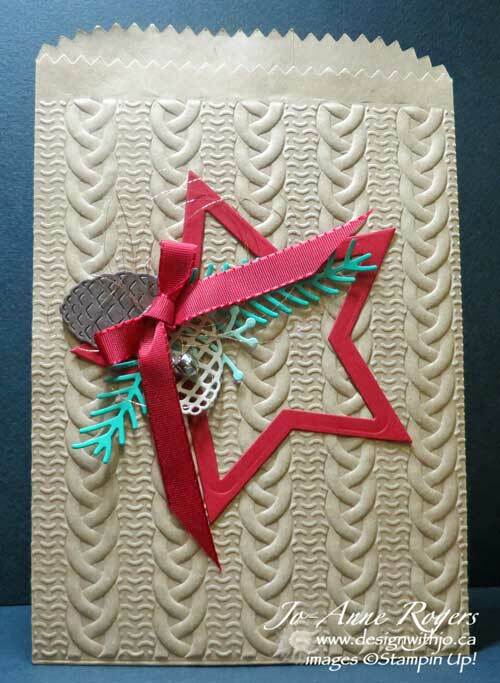 I like that you bring in other creative elements to complement the stampin up product. Thanks April! Zentangle looks complicated but is really very easy – Anyone can do it – that’s why I love it!